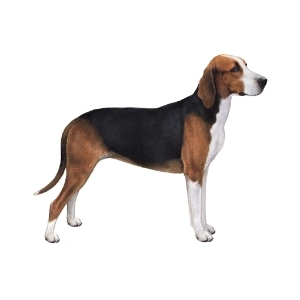 These dogs are medium in size and may fool onlookers into thinking they have just observed a rather large Beagle as they have the same short, smooth coat and signature tri-colouring. 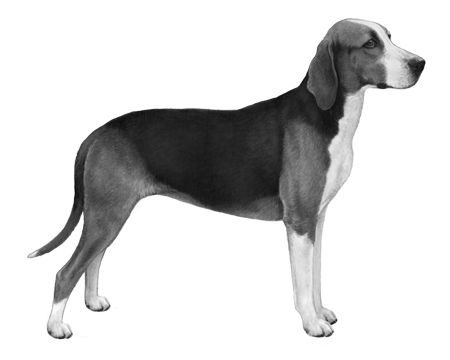 Unlike the Beagle though, while the Finnish Hound is one of the country’s most popular breeds, it is quite rare in most other parts of the world. Perhaps their popularity in Finland comes from their calm and friendly temperament. Their great amounts of energy and vigour make this breed a great one for people looking to take long walks and plenty of them.